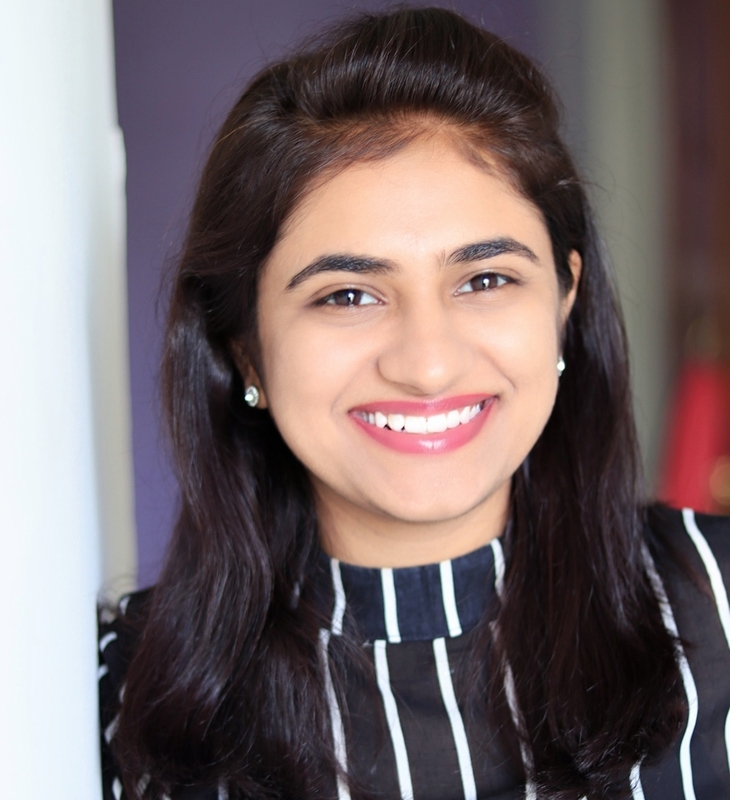 Anita Tejwani- Helping talented individuals discover and build their brand and online reputation. Anita Tejwani, 23, hails from the heart of writing and the brains for business. The journey originated from a 3-tier city in Gujarat to starting up in a city of Dreams- Bangalore. She has always been a dreamer, an opportunist and of course blessed. She started writing at the age of 12, which gradually turned to poetry by the age of 14. By 18, she had penned 500+ poems which no one ever knew about - not even her parents. Hailing from the background of Science, she continued to graduate with a Bachelor's of Science degree - Mathematics Major. But studies was not what gave her happiness. Hence, she took up being an RJ at All India Radio and doing weekly shows there. By now, she was independent enough to pay her own college fees along with her mother's fees. Yes! Her Mother too took up studies with Anita in her college after a long gap of 22 years. And that was a time where she and her mom used to go to college together, study together, wear uniforms and attend classes together and when they graduated, they got a National Record for Mother Daughter Graduate together. In her first year she gave her time at AIR and by the mid of 2nd year (age-19) she happened to contribute her writings to an online magazine and launched her first poetry book at Bangalore- check the website ssaazz.in . Starting with stories of people who came to India from Pakistan at the time of independence to covering stories of Brands like Shahnaz Husain, CEOs like Ashish Kashyap- Ibibo, Sports person like Mary Kom, Social entrepreneurs like Arunachalam Murugunatham, Women Entrepreneurs like Anuradha - She Cabs, The fastest Marathoner of the World- Dennis Kimmeto, it went on and above to covering the best inspirational stories across 26 countries and crossed a number of 350 stories in 1.2 years. This hard work with a lot of passion then made her receive the National Record for India's Youngest Journalist for 2015-16 and (until someone breaks that record). Having worked with people of various backgrounds and understanding their journeys as a journalist, she happened to observe the way few people carried themselves- their stories, their heroic acts, the narrations, the books on them, their social profiles etc. There are very few people who know how to carry their brand and how to get benefitted out of it. She got determined to increase awareness about personal branding in people, specially talented individuals like Authors, Chefs, Painters, Musicians and Singers who can escalate their brand to earn name, fame, more business, more fans, etc, Then having researched upon, she found quite a few good coaches who trained people to carry their brand; but what next? What If he/she isn’t able to continuously build his brand for himself and what do those coaches guarantee instead of that high fees? And here was a loop hole which kept people away from the term of “Personal Branding”. This gave birth to Wings To Wills which is an offbeat branding venture that aims to provide cost effective and long lasting branding services to emerging individuals in various fields. The vision of Wings To Wills is to make your efforts count by making you stand out of the crowd. At Wings To Wills they don’t just train individuals to carry their image but actually work on crafting the best story of their life by connecting them to the great untouched opportunities in their field which can make them stand up and out. Branding an individual by keeping up with the authenticity isn’t an easy task but making people understand its concept and its needs was even tough . It takes a lot of strategic planning and right steps to build a name for them. There are startups which sell products and then there are ones selling services, and then there are startups like Wings To Wills which sell the personalised services according to an individual’s dreams, goals, career expectations, ROI or even being famous! In April, 2016- she happened to be lucky to interact personally with the Duke and Duchess (Prince William and Princess Katherine) of England, UK, at Mumbai on their Royal Visit to India. The Princess was enlightened on meeting Anita, for her being the youngest entrepreneur at that event of 120 great entrepreneurs including Shraddha Sharma, Mr Anand Mahindra, and many more. She has been able to achieve all this despite the hundred odd things and feel gratitude towards her parents who believed in her dreams. She has excelled in her business by getting a revenue of 15L in the first year of inception of her startup Wings To Wills without having a background of IITs or IIMs. She tends to support every girl who wishes to live a dream despite the fight against the society and their families. Founder of a Personal Branding venture that helps individuals build their online presence and stand out of the crowd. Wings To Wills turns up the volume of any talented individual and gets the limelight over them.